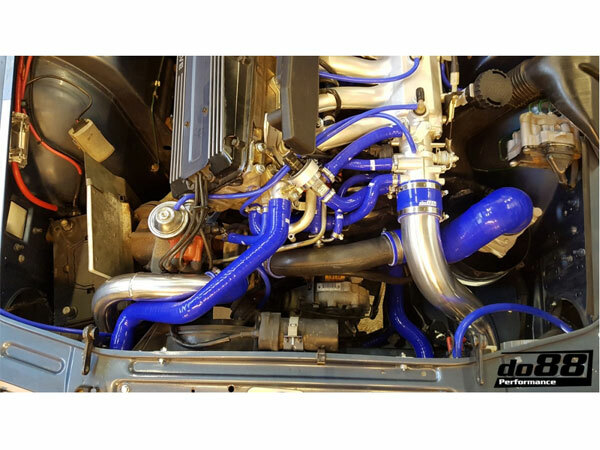 DO88 have developed a performance intercooler and pipe kit worthy of the iconic 900 turbo, a vehicle very popular with Saab enthusiasts. Compatible with original battery position. Replaces all parts between the turbo outlet and throttle body! See enlarged image for test data. 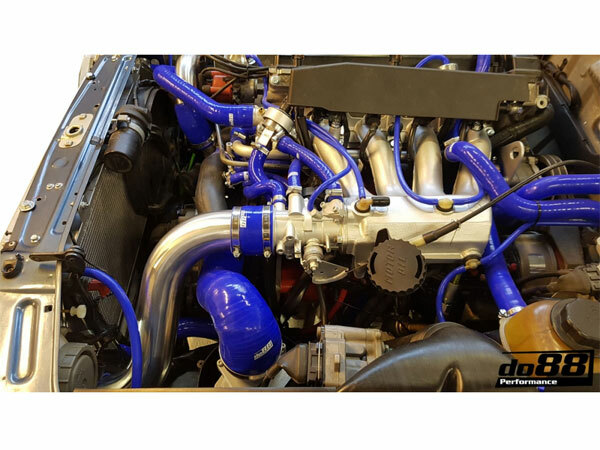 The intercooler kit includes a full aluminium performance intercooler, aluminium pressure pipes and silicone hoses. 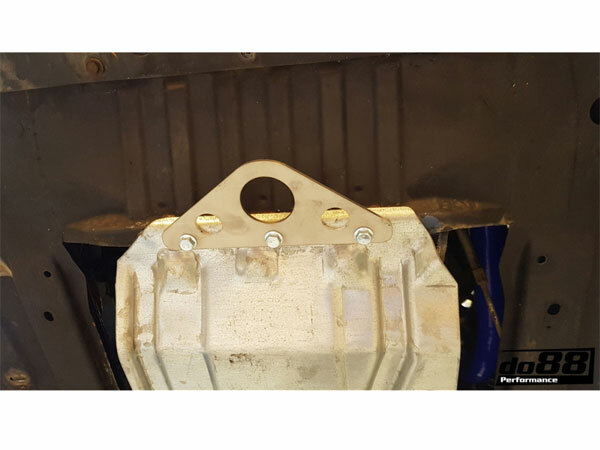 This replaces everything between the turbo outlet and the throttle body giving a drastic improvement in airflow and cooling performance. 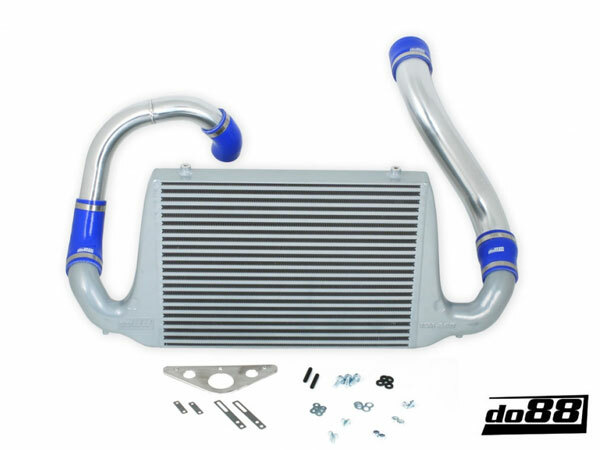 The performance intercooler is an all aluminium construction with CAD designed, flow optimized cast end tanks along with an optimized core design. This achieves the best possible cooling efficiency combined with the lowest possible pressure drop! 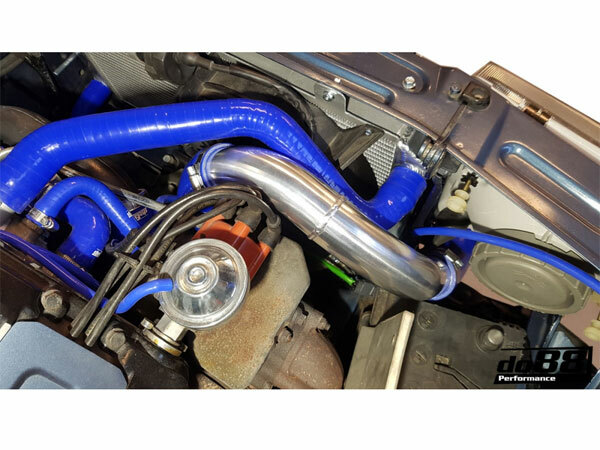 The pressure pipes are manufactured in 2 inch (turbo to intercooler) and 2.75 inch (intercooler to throttle body) mandrel bent seamless aluminium. Custom made high quality silicone hoses with 4 layers of polyester aramid reinforcement. This means the hoses can handle very high temperatures and pressure! 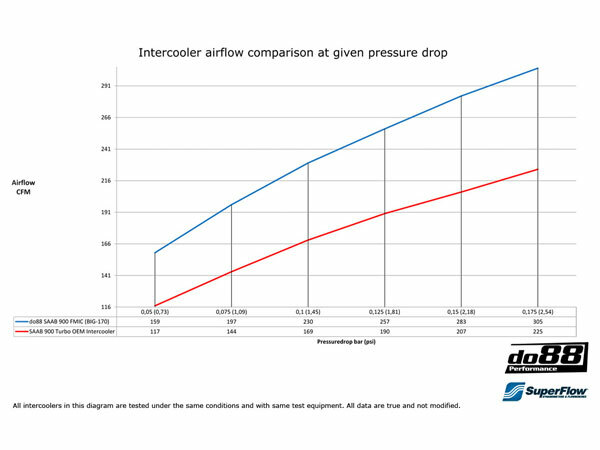 The perception of an intercooler being something to upgrade only after a major engine tune is false, yet widely spread amongst the tuning community. During hot summer days, at repeated pulls, inspired driving or even ordinary driving in a hotter climate area, it doesn't take much of an effort from the engine to generate dangerously high inlet temperatures – even on a standard, non-tuned car. 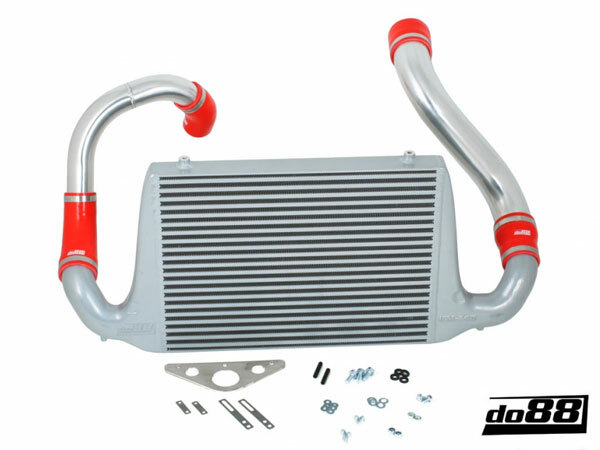 The cooling capacity with an OEM intercooler is in many cases inferior which will affect the usable power. The heat has to be eliminated otherwise the promised output will not be achieved as you start applying throttle. 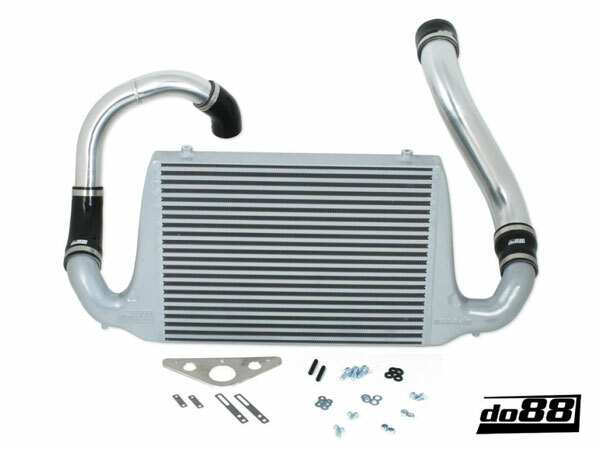 With this do88 intercooler you can rest assured the full power is there, available at all times. Fitting instruction can be found here.